Today, Fargo may be better known than it deserves, considering its population of 120,000 and that amounting to 16% of the whole state of North Dakota, but in 1968, it was STILL pushing the four year old radio idea of billing itself as "KQW-BEATLES"!!! Well, they did boast the #1 song, I guess. For it's location, this station boasted a pretty hip top 40 listing. Besides Chicago's Mauds (#29) and Shadows of Knight (#27), three cooler obscure titles on here are definitely worth hearing. #23 "I Want Sunshine" by South 40 is nice to see, as the band, just over a year old, would soon have an album out and a year later start finding national success under their new name, Crow! Mason Williams was just one big part of the "return of the instrumental" that occurred in 1968 and altho not a big hit, "Baroque-a-Nova" was an excellent followup to "Classical Gas," IMO. The McCoys had been off the charts for over a year, but a switch to Mercury Records and a new album and single "Jesse Brady" had things looking brighter (see "New Challenger" listing). The band would dissolve soon after this failed and leader Rick Derringer would go solo with a good career lying ahead in the 70's. Boy, that sure is one skinny survey!!! Surprised again to see "Revolution" shown as the A-Side in the #1 position ... maybe "Hey Jude" was simply too long for a lot of these stations to play back in the day. (There is no question as to the clear-cut winner here in Chicago ... but despite all of this, "Hey Jude" only spent one week at #1 on the WLS Survey ... nowhere near the nine weeks it spent on top in Billboard. Then again it only topped the Cash Box Chart for seven weeks ... and Record World for four! That's because too many other good potential #1 Records were out there vying for the top position at the time ... hits like "Those Were The Days" by Mary Hopkin, "Fire" by The Crazy World Of Arthur Brown" and "Over You" by Gary Puckett and the Union Gap, all of which reached the summit here in Chicago, limiting The Beatles to just a one week stay at the top of the chart. My pick hit this week is "Hi-Heel Sneakers" by Jose Feliciano. He totally reinvented this tune and I loved it ... much more so than his reworking of The Doors' "Light My Fire" a short while back. (Elvis also did a rousing version of "Hi-Heel Sneakers" on the flipside of his "Guitar Man" single the year before. 10/7 – Jose Feliciano performs “The Star Spangled Banner” before Game 5 of The 1968 World Series. It will be universally panned the following day as “desecrating our National Anthem” … yet RCA Records will release the performance as a single a month later and it cracks The Top 50 in all three major trade publications. 10/10/68 – The Detroit Tigers, at one point trailing three games to one, come from behind and win three games in a row to win the 1968 World Series. Pitching stars Denny McLain (the last pitcher to win 30 or more games in a single season in the major leagues) and Mickey Lolich each pitched on just two days rest to help accomplish this feat. Talk about your premier pitchers … The Tigers’ opponents, The St. Louis Cardinals, boasted the incredible Bob Gibson who, during the regular season, posted yearly totals of 22 wins and just 9 losses, along with a staggering 1.12 ERA. In Game One of The World Series he struck out a record 17 batters! But it was Denny McLain who became the Poster Boy for Major League Baseball that year. He could do no wrong, finishing the season at 31-6 with a 1.96 ERA. It wasn’t uncommon to see him on TV, too, playing the organ on some of the popular variety shows of the day. 10/13/68: In infamous clips that have been broadcast repeatedly ever since, The Beach Boys perform “Do It Again” and “Good Vibrations” on The Ed Sullivan Show. But there are just a few more things I’d like to say!!! Looks like Forgotten Hits Readers aren’t the only ones fed up and disappointed by the ways and means of The Rock And Roll Hall Of Fame nominating committee. In answer to the question, Walsh literally held his nose, stating that there are quite a few changes he and his peers would make in the way The Rock Hall operates. "There’s a lot of politics in the Rock and Roll Hall of Fame. There’s a lot us artists would change about the induction ceremony and who they pick. The corporate sponsors get to pick [the nominees], and then the people get to vote. There’s a lot of people, I don’t know why they’re in there and there’s a lot of people, I don’t know why they’re not." As reported by Ultimate Classic Rock, Walsh politely declined to specify any artists in the former category, but was quick to speak up for a childhood hero he thinks should be acknowledged. By the way, on November 11th Tacoma, Washington, Joe Walsh will host VetsAid, a benefit concert that will include full sets by himself, Don Henley, James Taylor and Chris Stapleton. Ringo Starr will be a special guest at the event. The nominees are very poor. I would only vote for the Zombies and maybe, just maybe, Def Leppard. 2 - In 2018 they are now playing more dates in more countries than they ever did in the 60’s. This equals longevity. I've been lucky to have had Colin on my radio show four times and Rod Argent three times in past ten years … absolute professionals. Whether playing a small gym or a major theatre, their performances are great. This nomination is "third time of asking," and hopefully it works. What the hell is going on with the R&R Hall Of Fame? I'm sorry, but isn't this becoming an annual redundant question? It reminds me of that old Wellerism phrase my Mom used to say: "Everyone to their own taste, said the old lady as she kissed the cow!" Devo? Kraftwerk? What next -- the Guess Who getting eked out by Question Mark & The Mysterians? Apparently "Whip It" and "Autobahn" had much more of a social impact than a few million of us even realized. Sometimes, you want to give these "surprise candidates" the benefit of extensive record sales, but some don't even qualify for that. You just never know who is going to show up on the R&R list of surprise artists. Word has it, the Singing Nun could possibly be showing up in next year's first ballot, in hopes of making it to the Lightning Round. Ozzy Osbourne picking up her posthumous award and singing "Dominique”? … it could happen! If The Singing Nun gets in there for “Dominique” before The Kingsmen do for “Louie Louie” I’m REALLY gonna be pissed!!! She already cheated them out of a #1 Record in Billboard as it is!!! But I totally get what you’re saying ‘cause your preachin’ to the choir here on this one. Paul Simon makes Saturday Night Live history this weekend when he appears on the program as a musical guest for a record 9th time. Simon hosted the second episode of SNL in October of 1975, and has appeared as both a host and/or musical guest seven times since. 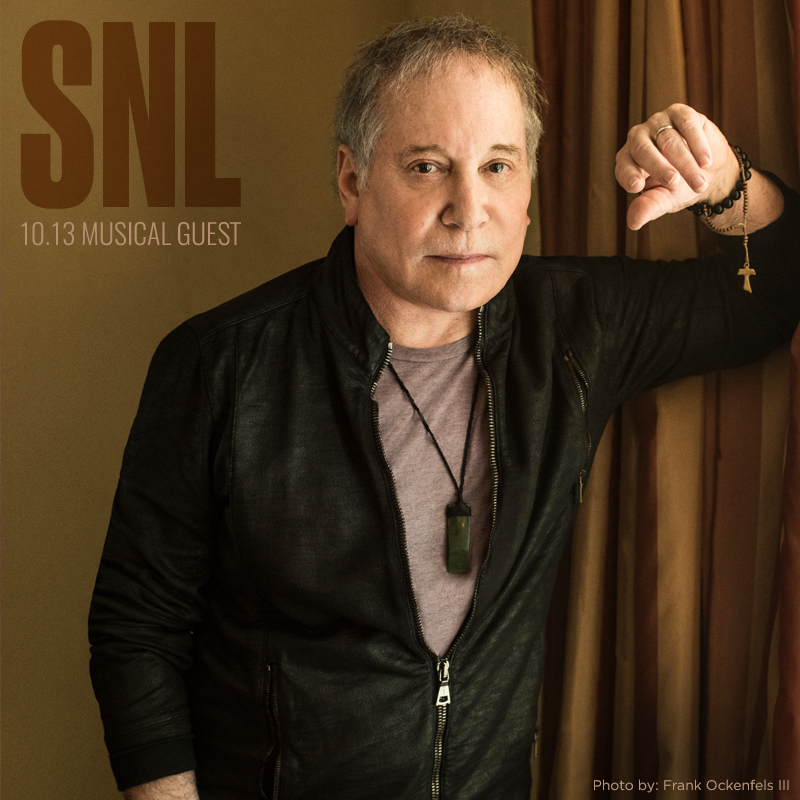 This weekend, on his 77th birthday, Paul will make SNL history by serving as the musical guest for the ninth time — more than any artist in more than 40 years of the show’s run. PLEASE keep us posted about the future Randy Bachman / Burton Cummings shows. I will be there with bells on!!! Would love to see them live on Soundstage Show also. This is definitely on my 'Bucket List". ps Speedy recovery for Frannie! Yep, I can’t imagine missing this either. 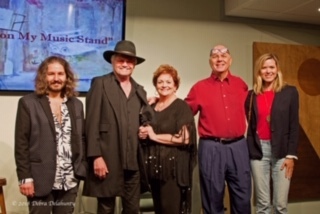 Coco Dolenz performed last weekend with brother Micky, Alex Jules, Peter Andrews and Christena Rich in Simi Valley, CA. Coco also intro’d Micky last night in L.A. at LATTC, where Dolenz went for a spell. He was being honored as an alumnus of the school. Rumor has it that a 60th Anniversary package is already being planned with a bonus disc featuring, FOR THE VERY FIRST TIME EVER … ANYWHERE … THE PREVIOUSLY UNRELEASED TRACKS OF THE BEATLES FARTING IN THE STUDIO!!! Can you imagine the campaign? Sure, Lennon and McCartney were the creative ones when it came to all the songwriting (although guitarist George Harrison certainly gave them a run for the money near the end of the group’s career) … but who was the most creative farter??? Fans may be shocked and amazed to learn that Ringo Starr, tucked away behind his drum kit and a sound screen where he THOUGHT nobody could hear him … was the absolute MASTER at passing gas in the studio … and it’s all been captured here, LIVE, for the very first time, on this very special 60th Anniversary Release.